A couple of months ago, my poor old trusty Firmoo sunglasses got broken in my bag. 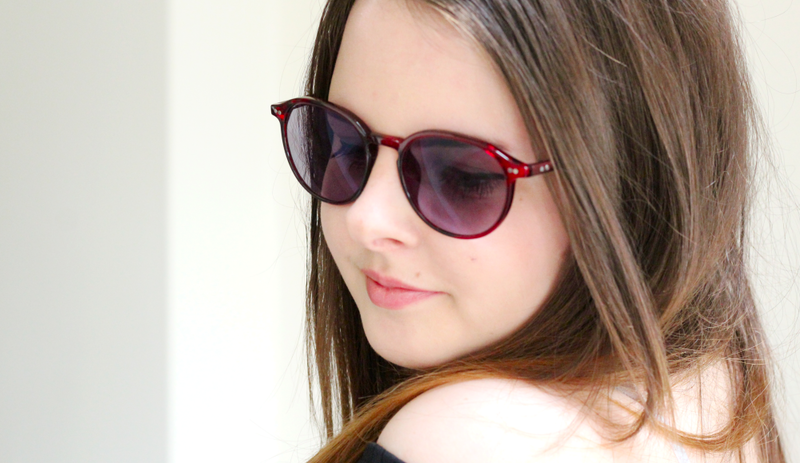 I actually got sent them early in 2013 (you can see the post here) and they have been my go-to sunglasses since! I'm sure you can feel my pain that my fav sunglasses got broken right in the middle of Summer, so annoying! 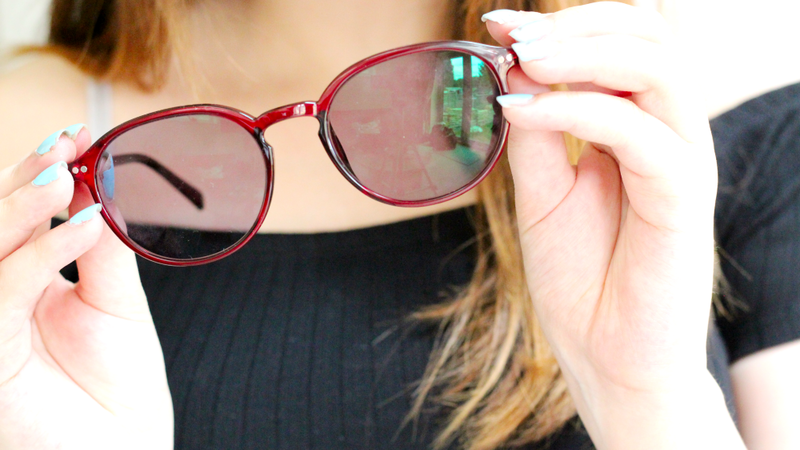 But Firmoo have come to my rescue yet again, and sent me these lovely burgundy frames. I thought I would go for something a bit different, as I always tend to gravitate towards black sunglasses. I also really like the shape, as they are very classic and wont go out of style anytime soon! If you are looking for some new sunglasses or even actual glasses, there is a 15% off discount for all new customers. What do you guys think, and what were your go-to sunglasses like this Summer?